The Mosel Valley is one of Germany’s leading wine-producing regions. Located near the western border, the river meanders through a landscape where Romans and Celts grew wine dating back to over 2000 years. As a matter of fact, it’s the oldest wine region of Germany and is one of the world’s largest areas of steep vineyard land. The topography influences a unique macro climate that creates a unique wine taste, most especially for their Riesling. 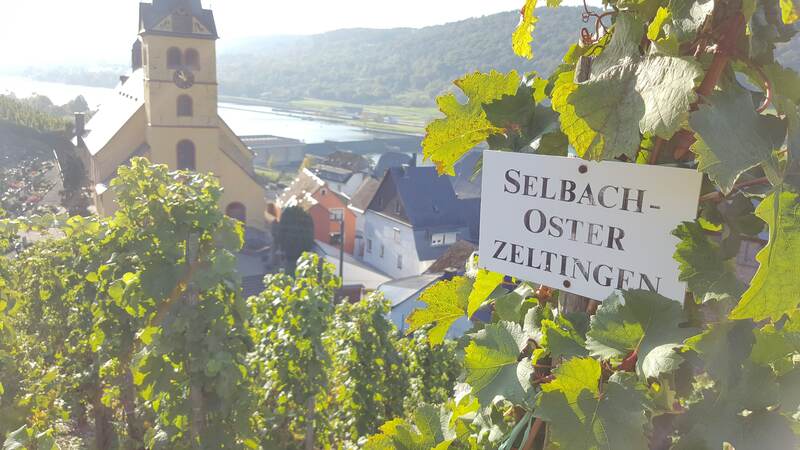 In the heart of the Middle Mosel lies the Selbach-Oster Winery, which is ranked among the best 100 wineries in Germany, and belongs to the top producers on the Mosel. It has produced award-winning (Robert Parker, Wine Spectator, Wine & Spirits, etc.) wines for 400 years. 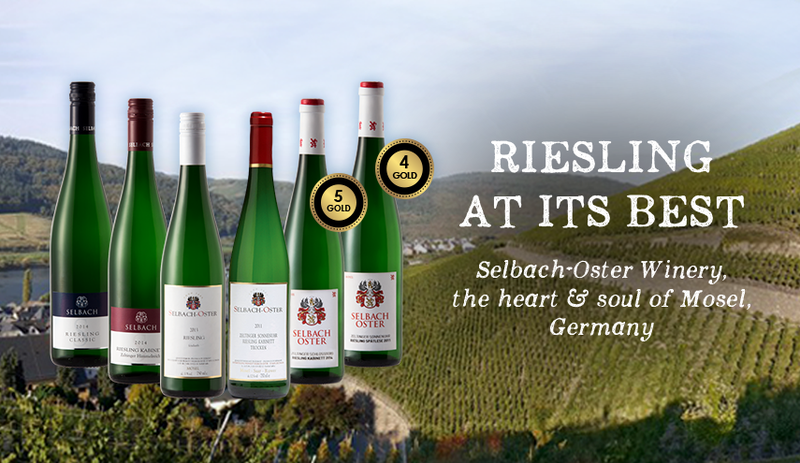 Wine Connection is proud to feature wines from Selbach-Oster Winery, a Riesling-only winery, at our Riesling Wine Dinner on the 4th of April (Tuesday), at Wine Connection Bistro Capital Square. to uncork the bottle of questions. Wine Connection: Tell us more about the legacy and history behind Selbach-Oster Winery wines. J & H Selbach has always been the name of our business. But in order to better distinguish our estate wines, we decided on ‘Selbach-Oster’. Oster being the maiden name of my grandmother from my paternal side, where some of our vineyard’s origins are. We have been making dry Rieslings for as long as I can remember. My father firmly believed in the regional and single site typicity of the wines and also of maintaining a consistent style rather than going with the "Zeitgeist". Hence they made the whole range, from dry to sweet, depending on what the individual vintages yielded. Wine Connection: To what extent is Riesling wine a symbol of Germany? It’s the noblest, most versatile and complex white wine I know. Riesling reflects the influence and character of both the fruit and the soil it grows in, without necessitating much “winemaking”. It delivers the purest expression of “terroir” or sense, smell and taste of its origins. It has the ability to age like few other wines and it unites the combination of depth and multitude of flavour in a very elegant structure. It covers the colours of the rainbow and it provides for lively tension between minerality, fruitiness and acidity like no other grape. Wine Connection: How difficult is it to make Selbach-Oster wines from grape to bottle? How important is wine growing to wine making? The winemaking part is the less important part as there is not so much "making" but the quality of Riesling determined in the vineyard. The place, the soil, the mezzo- and microclimate are of the utmost importance. Apart from those, the differences are huge when comparing viticultural practices and the harvest throughout the year. Vineyard work has to be planned and executed with a certain quality and type of Riesling in mind. Then nature has to cooperate, but it all culminates in the harvest. How to harvest is immensely important. If gently pressed juice from top quality grapes runs into the barrel, most of the groundwork for delicious Riesling has already been laid. The real difficulties occur when the weather doesn't want to play in tune or when we gamble for 100% and overshoot the "perfect" day for picking a certain vineyard when the grapes have reached their optimum. Wine Connection: What would be a good dish pairing with Selbach-Oster wines? If you talk about our Riesling, it almost goes with everything you eat. Many people still confine Riesling to the spectrum of Asian cuisine, from the fruit and acidity that marry with the multitude of flavours. This is understandable but the choices are many more. Aged Riesling (least 20 years old) goes great with roast of venison. Sweet Riesling with foie gras (goose liver) and caramelized apple slices. Dry Riesling with fresh shellfish like oysters, clams. Trocken Riesling with rustic smoked ham, smoked sausages. Intrigued by these Riesling wines yet? a Riesling-only winery in Mosel, Germany. 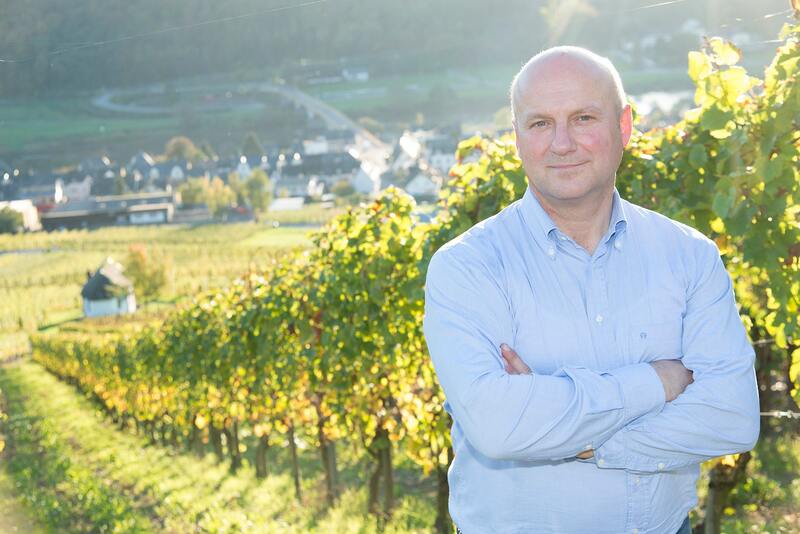 Hear from Mr Johannes Selbach, Estate Winemaker and Director as he unveils the secrets behind the unique terroir of the Mosel valley that gives Selbach-Oster wines its distinct characteristics. Taste the following wines and enjoy a six-course meal for only SGD89+ per guest! Shop Riesling wines today, or check out Wine Connection's special deals! You may also search for a store near you today! Join us at the Riesling Wine Dinner on 4th April 2017 (Tuesday), 7PM - 10PM, at Wine Connection Bistro Capital Square. Don't forget to RSVP here!